The student had answered: "Take the barometer to the top of the building, attach a long rope to it, lower it to the street, and then bring it up, measuring the length of the rope. The length of the rope is the height of the building." At the end of five minutes, he hadn't written anything. I asked if he wished to give up, but he said he had many answers to this problem; he was just thinking of the best one. I excused myself for interrupting him and asked him to please go on. In the next minute, he dashed off his answer, which read: "Take the barometer to the top of the building and lean over the edge of the roof. Drop the barometer, timing its fall with a stopwatch." "Then, using the formula x=0.5*a*t^2, calculate the height of the building." "On this same tack, you could take the barometer to the top of the building, attach a long rope to it, lower it to just above the street, and then swing it as a pendulum. You could then calculate the height of the building by the period of the precession." 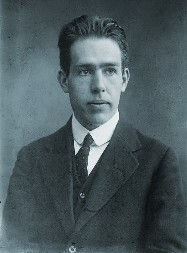 The name of the student was Niels Bohr.